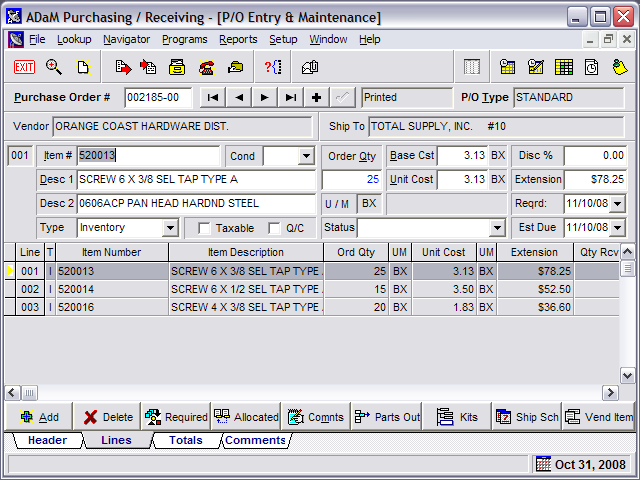 ADaM Purchasing provides complete purchasing management from initial requirements to purchase completion. Sourcing provides all of the information needed to make intelligent purchase decisions every time. 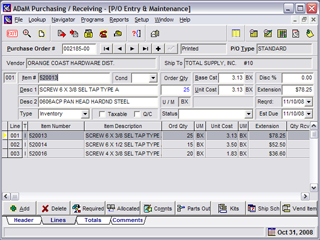 Purchase Order receiving provides for allocations, lot tracability, accurate inventory control and vendor performance statistics. Lookups, inquiries, and expediting features assure up-to-date and accurate information.